A chin augmentation, or chin implant surgery, is a procedure designed to enhance the chin to achieve an overall aesthetically beautiful balance of the face. This procedure is also called a mentoplasty. Why do people choose a chin augmentation? 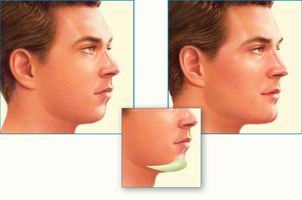 A “weak” chin can cause a disproportionate appearance to the face. Some people are comfortable with their chin from a frontal view, but are unhappy with the appearance of their chin from a profile point of view. Either way a weak chin can make people self-conscious, feeling that their chin does not match the rest of their face in proportion. A chin augmentation can be performed alone or is sometimes performed along with a rhinoplasty, a nose surgery, for a better balanced and more harmonious face. In a few cases, the problem with the chin is due to the shape or size of the jaw bone and a correction may involve altering those bones. However, in most cases a successful chin augmentation requires only the insertion of a solid silicone implant placed over the chin bone. This is generally an outpatient surgery lasting one to two hours that requires only an incision that will be hidden inside the lower lip. What can I expect from a chin augmentation? 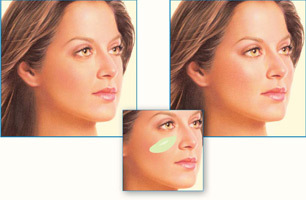 A chin augmentation will restore the normal symmetry to your face. 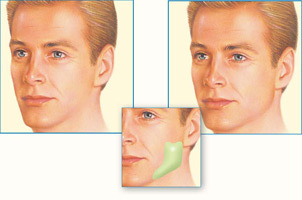 A chin augmentation makes a weak chin more prominent and provides for a harmonious appearance. Many patients will enjoy a refreshed self-esteem along with their new chin. How can I learn if a chin augmentation is right for me? If you’d like to make an appointment for a consultation to learn whether a chin augmentation is right for you; contact Dr. Art Armenta’s office. Dr. Art Armenta is a Diplomat and is certified by the American Board of Plastic Surgery and is a member of the American Society of Plastic Surgeons.